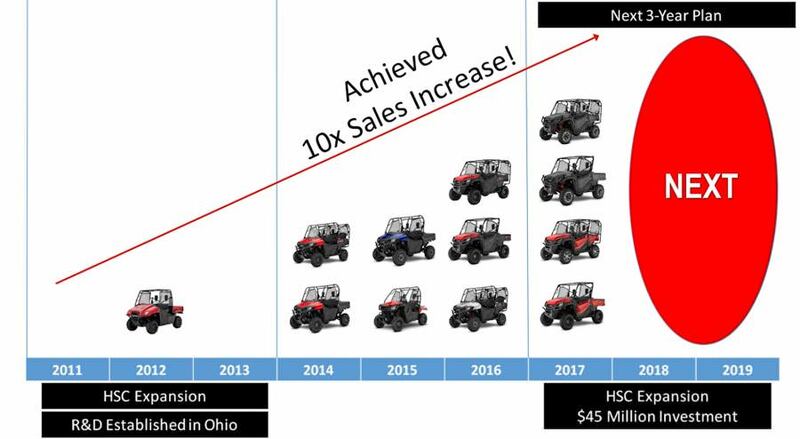 2018 Honda Pioneer 1000, 700, 500 Side by Side Models + 2019 News! Well… The excitement has probably worn off today for some of you guys that follow me on Facebook. Why do I say that? A lot of guys were hoping for Honda to add a sport side by side model to the 2018 lineup but that didn’t happen today. I’ll dive a little more into that later on in this post though. For right now, we’ll get back to something not as gloomy haha! UPDATE: 2019 Pioneer 1000, 700 & 500 Model Lineup Announcement – Click Here! 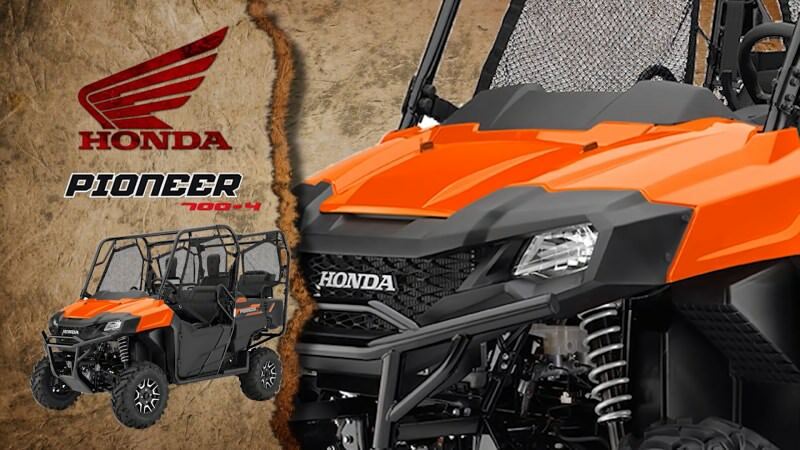 UPDATE: 2019 / 2020 Honda TALON Sport Side by Side Leaked – Click Here! What did we learn today? A lot! A lot of 2018 motorcycle news from Honda that I’ll be posting in another updated blog post shortly after this one if you guys are into motorcycles too and want to see the latest and greatest. 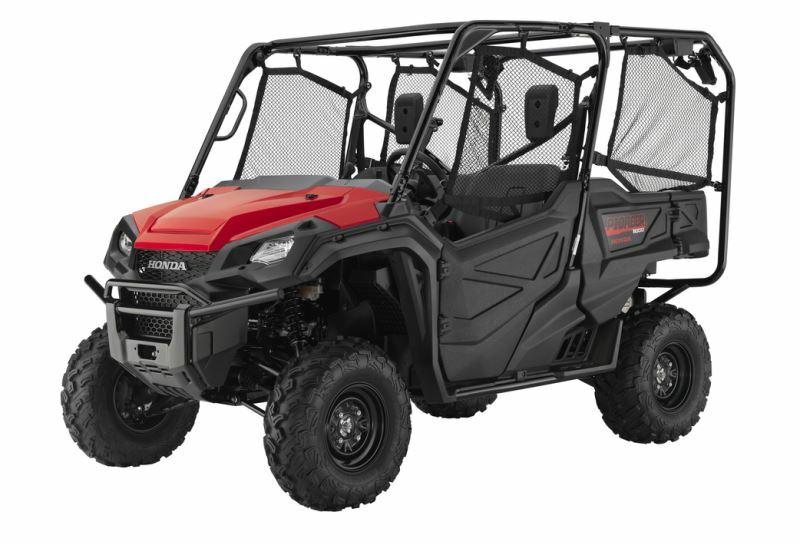 Let’s get to what you guys are here for though and that’s 2018 Honda side by side / UTV / SxS model information! 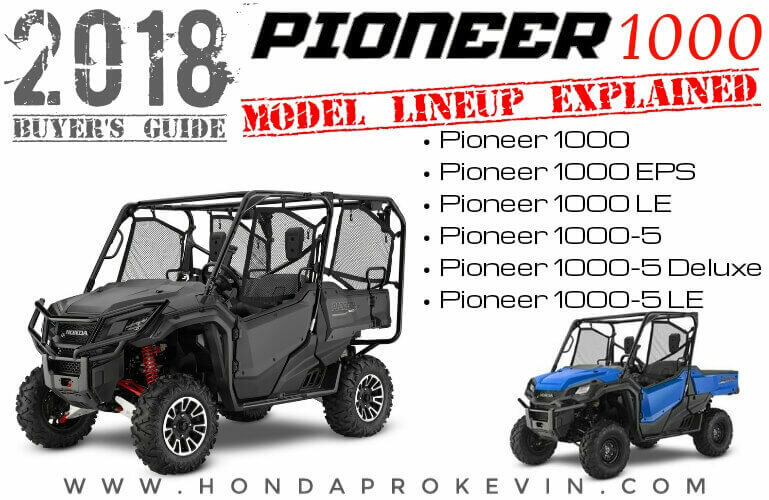 Update 7/11/2017: Honda Pioneer Side by Side MSRP / Prices are now released as well as a 2018 Pioneer VS 2017 Pioneer comparison so you can see the price increase on this year models lineup. 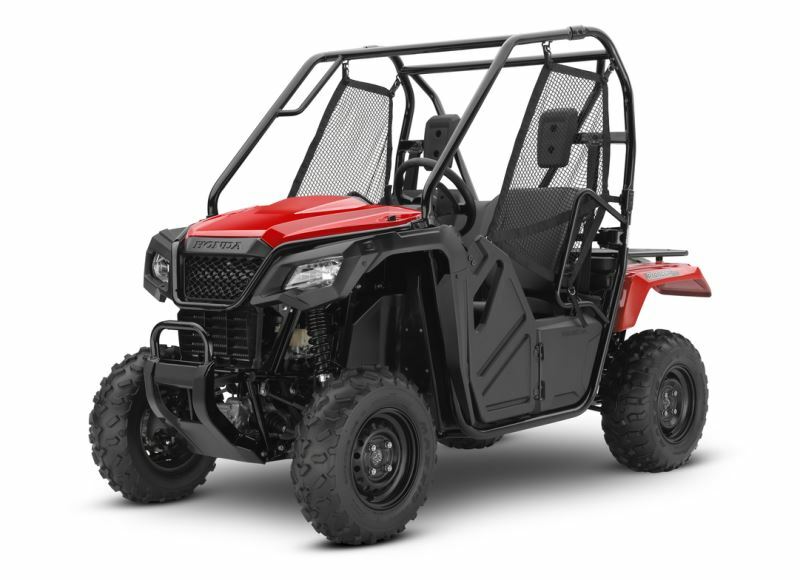 2018 Pioneer 500 VS 2017 Pioneer 500 Changes? None. 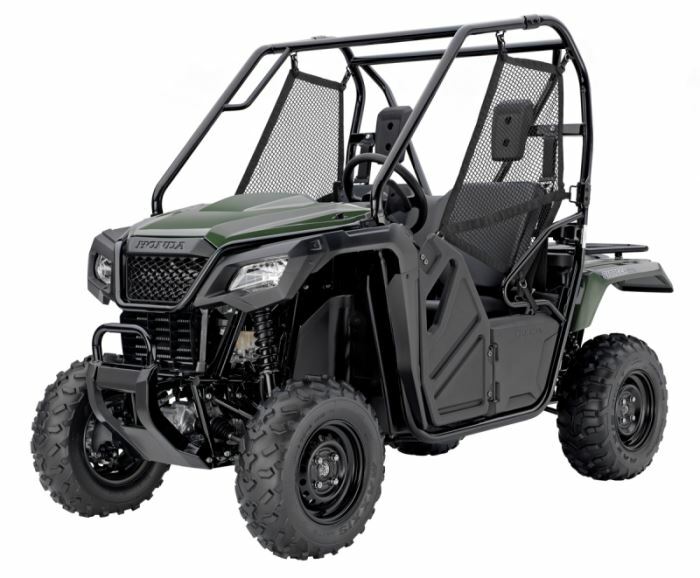 The only difference you’ll see is that Honda dropped the new “green” color they experimented with last year and brought back the “olive” green most of you are probably familiar with from their ATV models over the years. Other than that, the Pioneer 500 receives no changes for 2018. 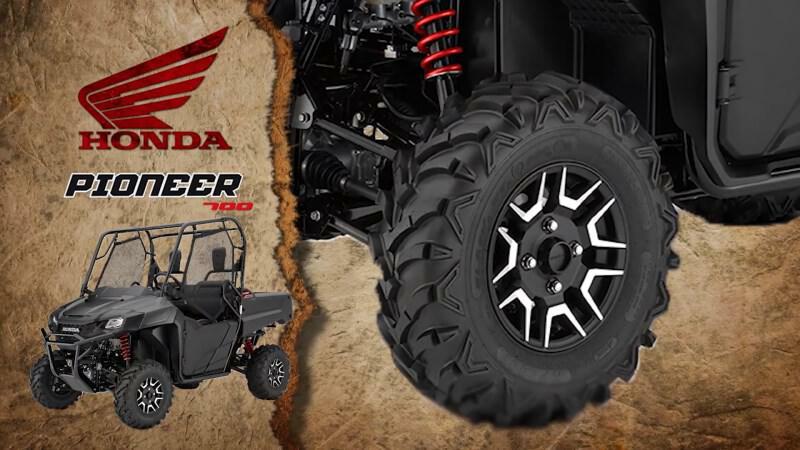 2018 Pioneer 700 VS 2017 Pioneer 700 Changes? None. 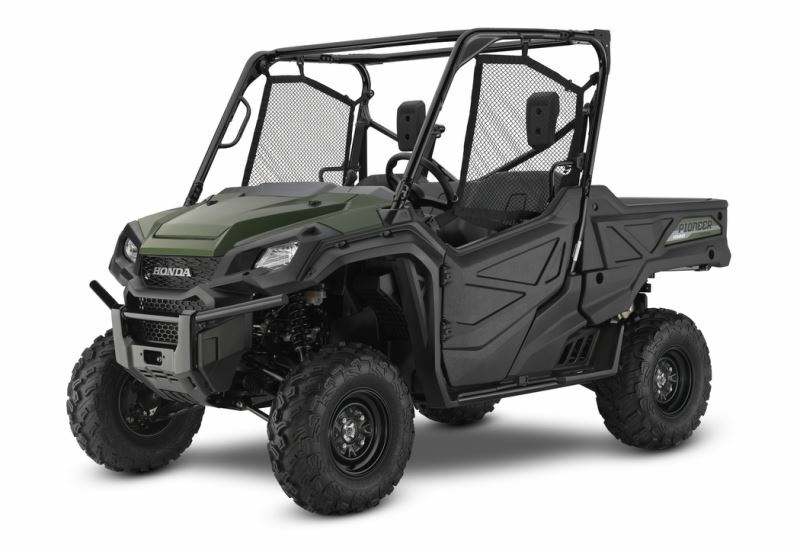 The only difference on the 2018 model you’ll find is that Honda is bringing back the olive green color for this model too as we only had red in 2017. 2018 Pioneer 700 Deluxe VS 2017 Pioneer 700 Deluxe Changes? None. 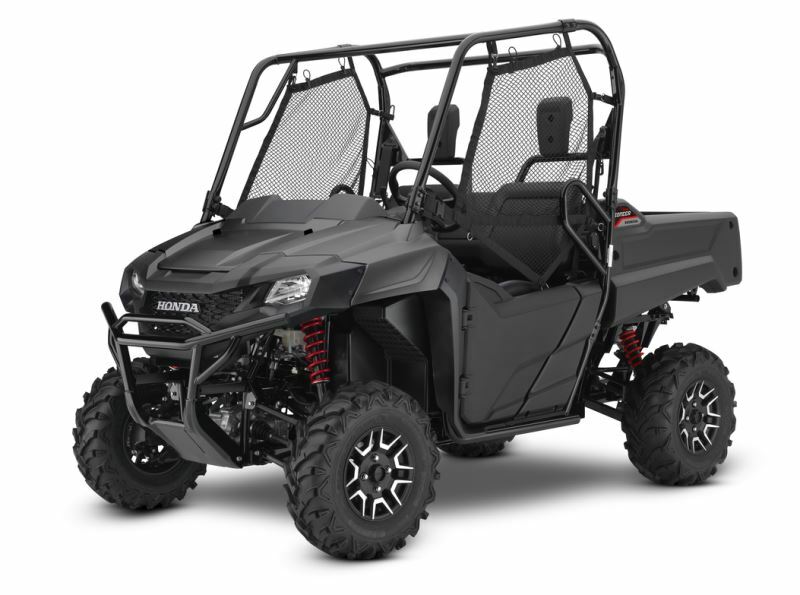 The 2018 Pioneer 700 Deluxe does get a new color this year, one of my personal favorites… The same Matte Gray Metallic we saw introduced on the Pioneer 1000 LE lineup last year. 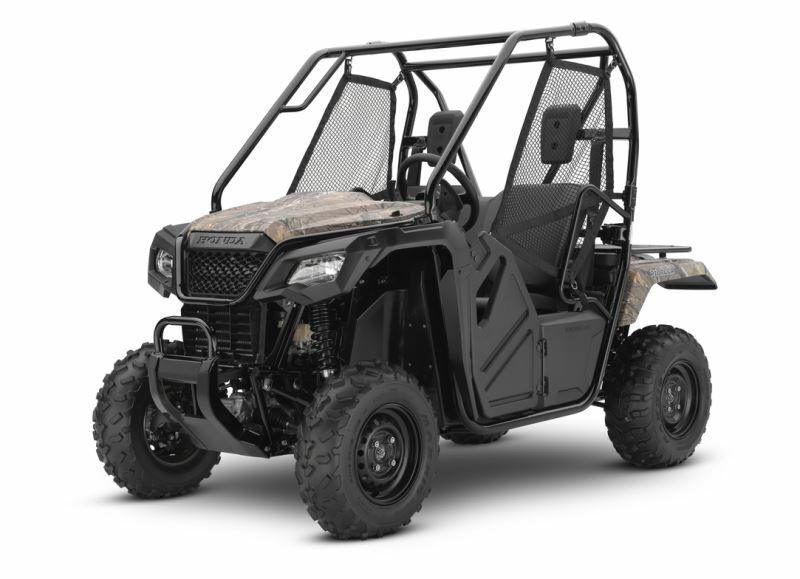 2018 Pioneer 700-4 VS 2017 Pioneer 700-4 Changes? None. No differences to note this year when it comes to colors either like we had on quite a few other 2018 Pioneer models. We only had red in 2017 and 2018 repeats itself. 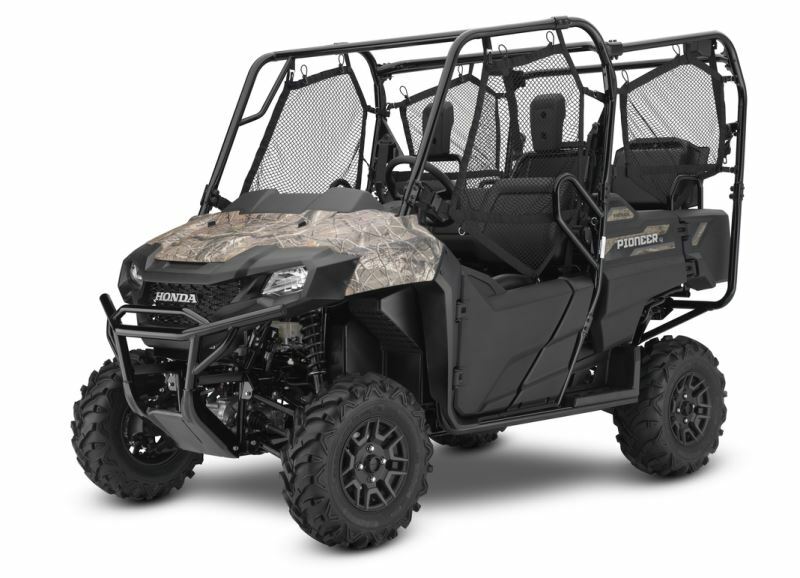 2018 Pioneer 700-4 Deluxe VS 2017 Pioneer 700-4 Deluxe Changes? None. We do see an all-new color introduced to the Pioneer model lineup though on the 2018 Pioneer 700-4 Deluxe – Pearl Orange. If it’s anything close to the pearl orange that Honda has done on past motorcycles, this color is really going to be B-E-A-UTIFUL when the sun hits it. 2018 Pioneer 1000 VS 2017 Pioneer 1000 Changes? None. 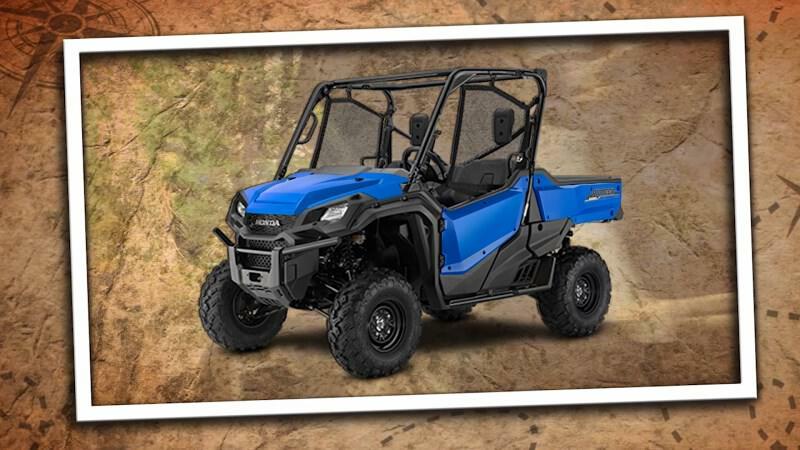 No color changes to note for 2018 as this base model 2018 Pioneer 1000 gets the same carryover colors from last year. 2018 Pioneer 1000 EPS VS 2017 Pioneer 1000 EPS Changes? None. 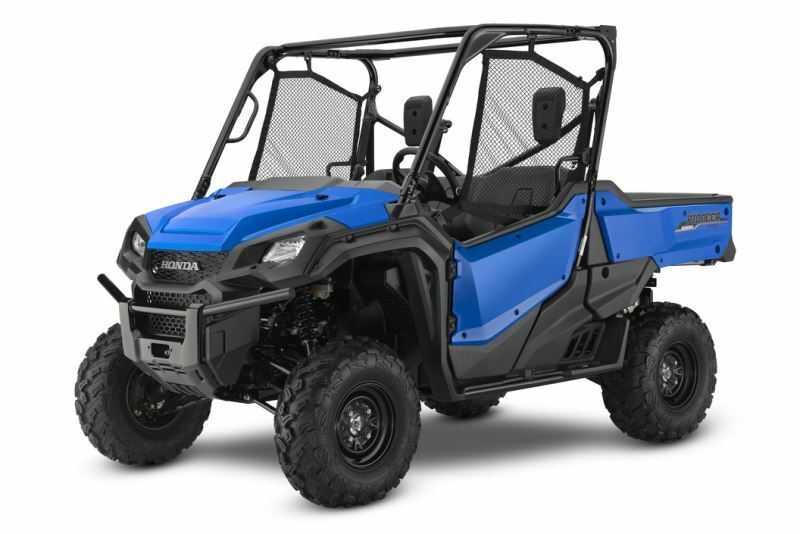 We do get a new color option on the 2018 Pioneer 1000 EPS though, Honda dropped the Shale Blue they experimented last year on the EPS and brought the Metallic Blue over from last year’s Deluxe. 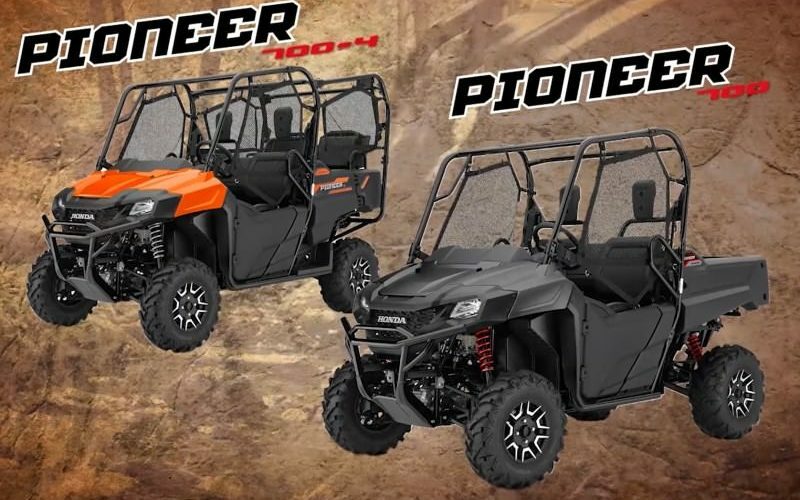 2018 Pioneer 1000 LE VS 2017 Pioneer 1000 LE Changes? None. 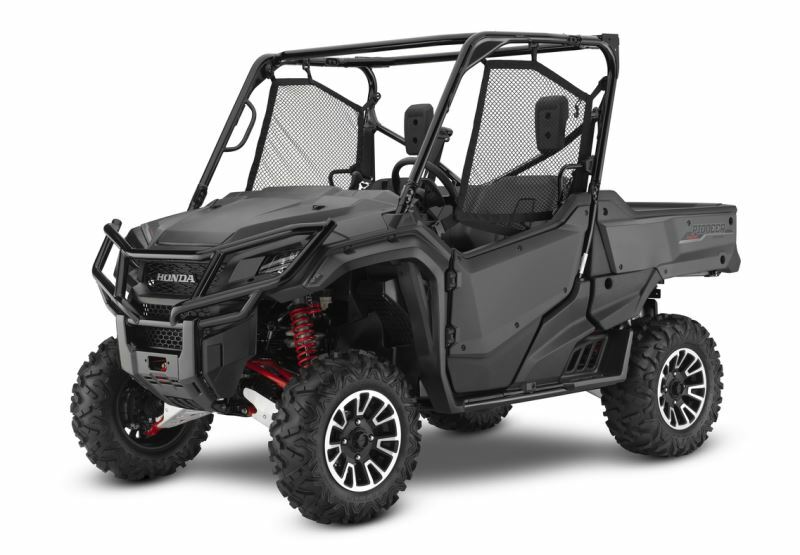 No new color options this year, the Matte Gray Metallic returns for the 2018 Pioneer 1000 Limited Edition. 2018 Pioneer 1000-5 VS 2017 Pioneer 1000-5 Changes? None. No color changes to note for 2018 as this base model 2018 Pioneer 1000-5 gets the same carryover colors from last year. 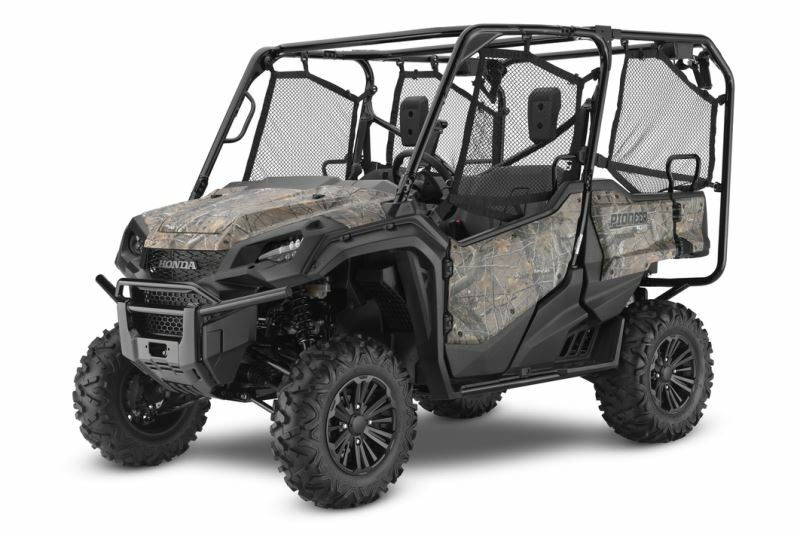 2018 Pioneer 1000-5 Deluxe VS 2017 Pioneer 1000-5 Deluxe Changes? None. 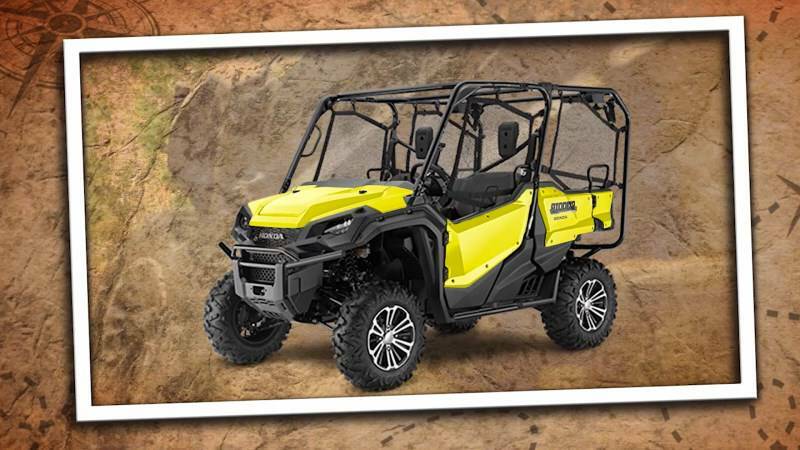 Here we have another all-new color to the 2018 Pioneer model lineup that will only be available on the 18′ Pioneer 1000-5 Deluxe – Active Yellow. 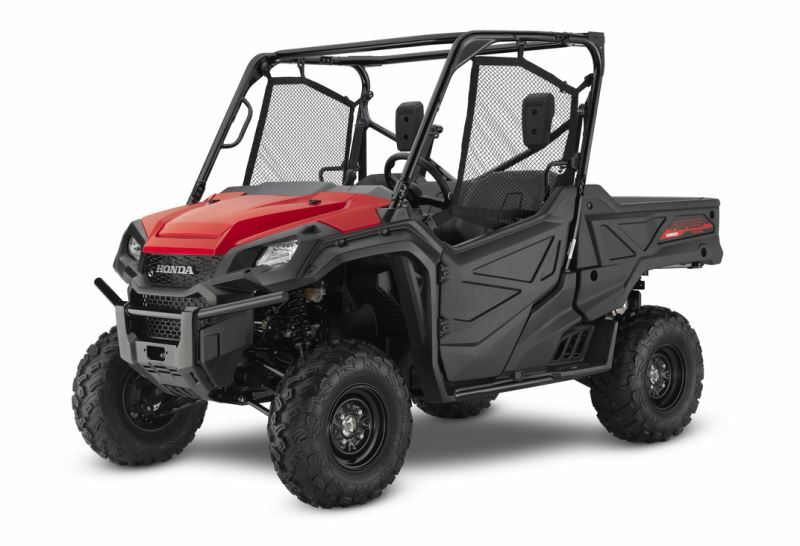 This color was first introduced in the Honda family back in 2017 for the Rubicon 500 EPS. 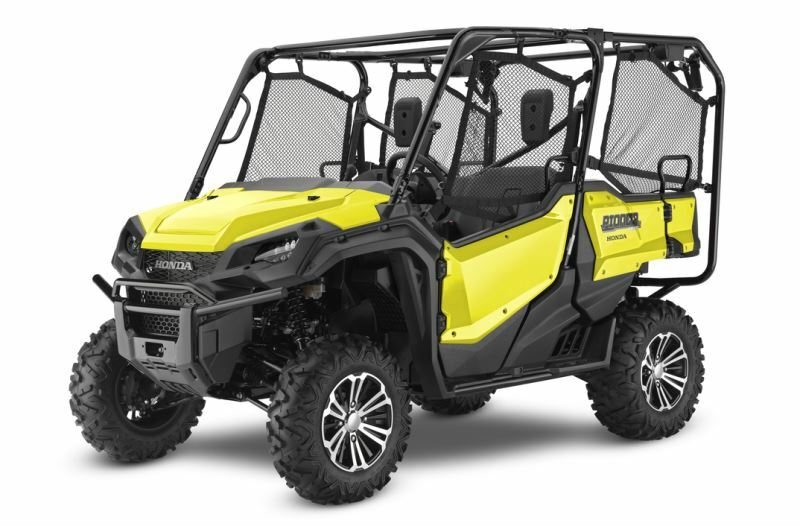 2018 Pioneer 1000-5 LE VS 2017 Pioneer 1000-5 LE Changes? None. 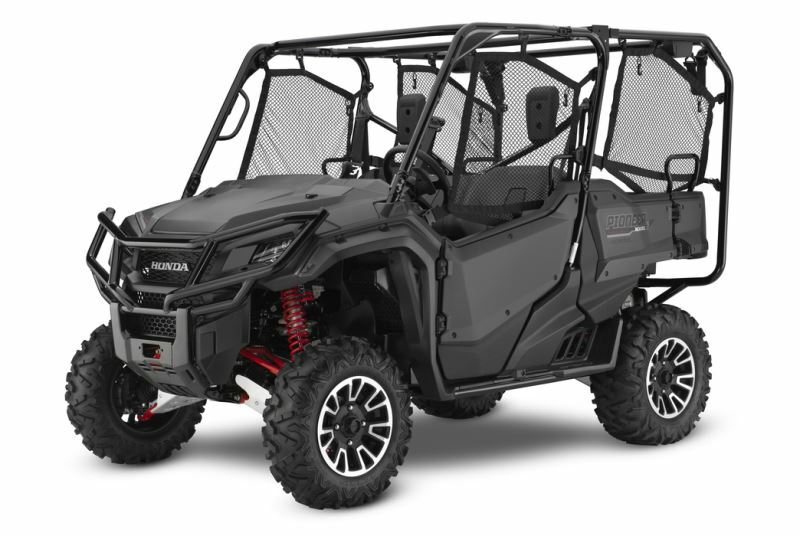 No new color options this year, the Matte Gray Metallic returns for the 2018 Pioneer 1000 Limited Edition. What? 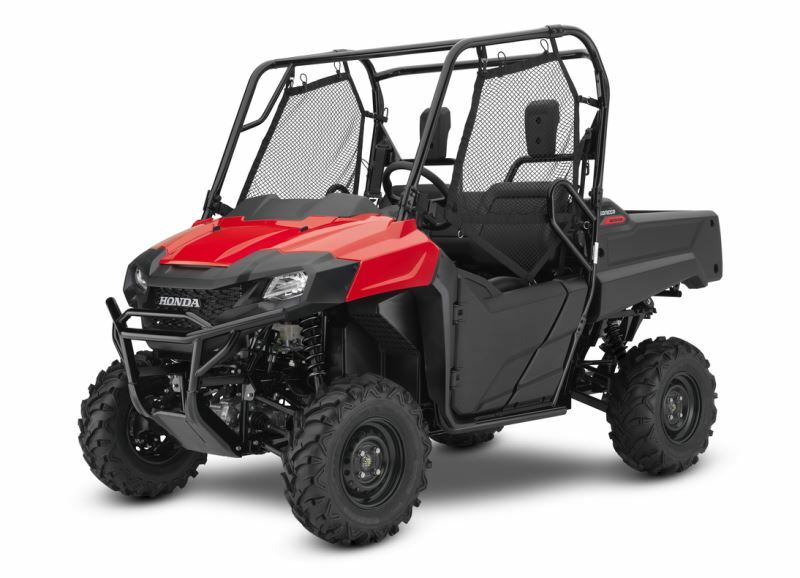 No all-new 2018 Honda sport Side by Side / UTV? 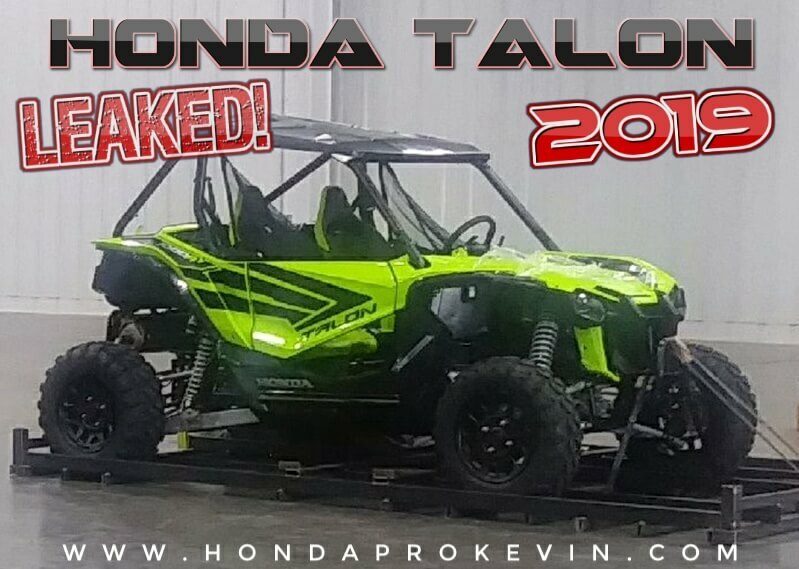 Where’s the 2018 Honda Talon that rumors have been floating around on for over a year? I’m sure that’s what a lot of you may be asking if you are a Honda fan and follow all of the news, rumors etc that float around online. 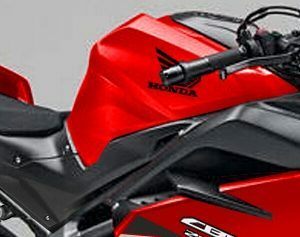 I for one don’t want them to rush whatever they’ve got coming, whether it be the baddest sport Side by Side we’ve ever seen in 2019 etc as part of what we all can say we like about the Honda brand is reliability and a well-built machine that actually had R&D and wasn’t just slapped together in a month and rushed to market while being plagued with issues and safety recalls etc. * I will be updating this page over the next few hours with little bits of more information and pictures.